Somewhere in between my first and second wig, there’s one wig whose story went untold. 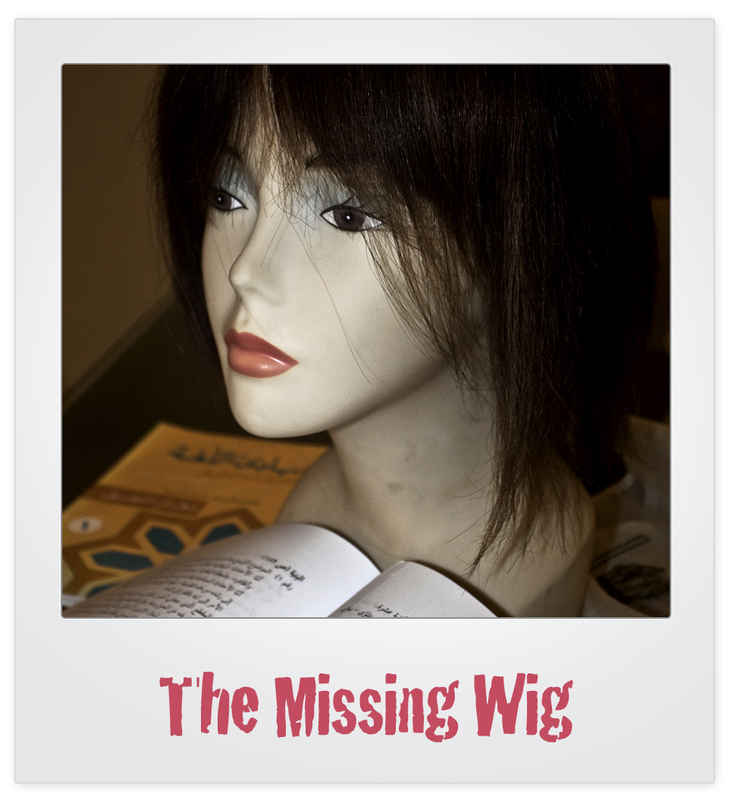 A wig that’s a missing link to my story but I only recently remembered. I must be getting old! It was reassuring for her to see her friend, who’d gone through the same thing before her, look healthy with all her hair growing back post-treatment. She clung onto these words throughout her treatment. Like the third lady whose story I’ve shared, she was also young. At 35, she got her first mammogram at her doctor’s suggestion. No one was expecting the results to reveal cancer in her chest. 9 months later, just as she’d been told, her treatment was over. One thing I admired most about her is that she never let cancer hold her down. Of the entire school year (she’s an Arabic teacher at a high-school), she only skipped two days. Two days during a 9-month treatment is truly amazing. And to top that off, her openness about what she was going through led to all the women in the school getting mammograms. One woman was able to detect her cancer and start early treatment as a result. She’s very open about her experience, especially seeing the positive effect it had on other women around her. Three women at the school have since gone through the same thing, in addition to a male teacher who was diagnosed with prostate cancer. They informally refer to each other as the “Cancer Club” – a club of survivors that supports each other by shared experiences. 1- Everything begins and ends. Think of it like pregnancy as I did. You will go through pain for a few months, but then everything will return back to normal. 2- Keep your sense of normalcy. I didn’t want my children to feel like their lives were changing because I was sick, so I kept taking them to their activities and going to work. 3- Don’t let the opinions of other influence you. People still have a lack of knowledge about cancer. Cancer does not mean death! There’s a 90% survival rate, especially if the cancer hasn’t spread. 4- You have to keep your morale high. If you believe you will beat it, you will. 5- Always trust your instincts. If you feel something’s wrong but your doctor says it’s nothing, get a second opinion. 6- Your faith will strengthen you. I felt my connection to God grow and it felt like he was holding my hand during treatment. As a healthy, glowing survivor, the only thing that remains is a sense of anxiety. The effect of such an experience is unfortunately bound to leave a mark. “The anxiety remains. There’s always that feeling. An anxiety that something bad might happen, that it might return,” she said. We certainly hope not, and pray she stays healthy. I’m sure she is, and will continue to be, an inspiration to other women around her.